�����The thrice yearly Long Beach Expo is still a few weeks away but many are already eagerly anticipating the display of the Bruce Morelan Collection of Early Dollars. 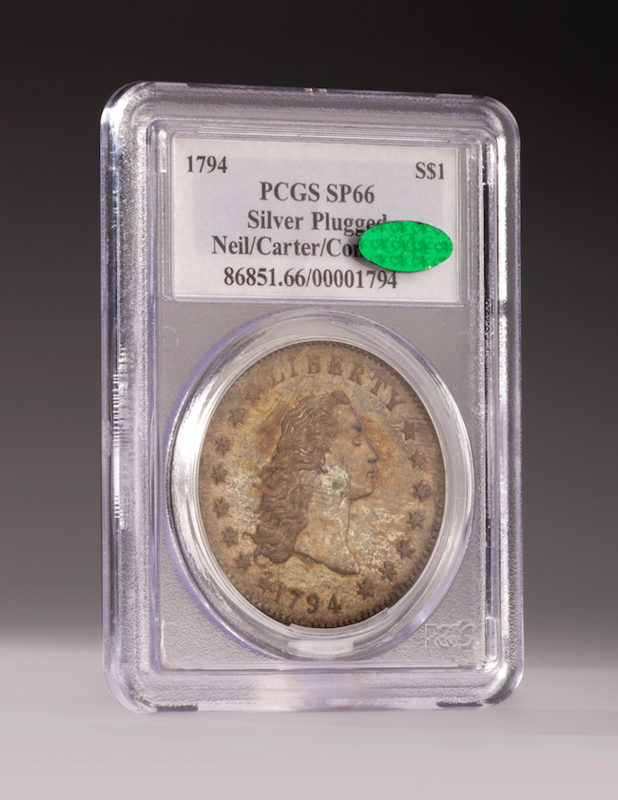 This set features the 1794 Flowing Hair Dollar that is known as the first and only $10 million coin. It is certified by PCGS as SP66 and is the main attraction of this glorious 1794 thru 1803 set. The 1794 is the featured coin in a walk-through museum quality exhibit that will surely please dealers, collectors, and historians alike. �����The metals have been strengthening over the last few weeks and Gold has surpassed the $1,200 mark, currently at $1,217.50. This puts the one ounce Proof Gold Eagle in the OGP at $1,425. Silver has jumped to $17.18 this morning and Proof Silver Eagles are trading at $50-$51 wholesale. With the metals higher, we have loads of increases in the Moderns bullion charts across the board. 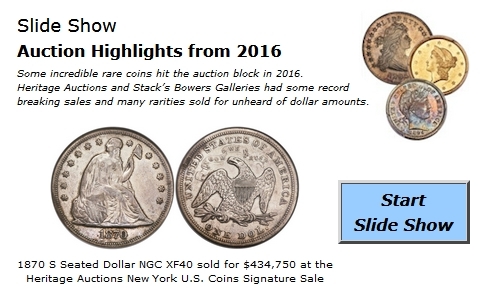 However, it is a little disconcerting that we have seen so many declines in the MS & PR 70 coins, particularly the Commemorative Halves and Dollars along with the Gold and Silver Eagles. 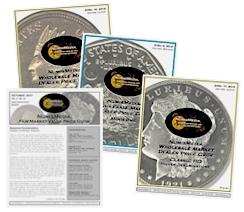 This is an indication that there are more sellers than buyers at this time and/or there have been an abundance of coins certified in these ultimate grades. �����Just as surely as the end of the year brings lower prices in many series due to a lack of dealer activity, you can count on the trend reversing as January rolls around. In this week�s LD Wholesale Market Dealer Price Guide there are a lot of increases to help balance out the number of declines. 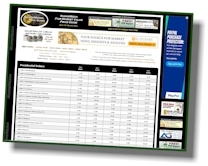 �����The Early Lincoln Cents chart has a variety of active areas with the better dates receiving most of these changes. The 1909 S in MS66 Red is higher at $2,875 Market but the MS67 Red is down at $22,750; the 1909 S VDB is also lower in MS67 Red, now at $71,500. These downturns are likely the result of price resistance at the previous higher levels. There are also numerous adjustments in MS65 and higher grades. The 1918 S in MS65 Red is another tough date that has increased this past month up to $6,475. �����The Buffalo Nickels series appears to be selectively active but buyers are looking for full strike coins with good eye appeal. If the strike is mushy, it will take a discount to create a sale, especially for the better dates with mint marks. The 1918 D in MS66 is higher this week at $6,525 and the 1928 S in the same grade is now at $9,250. Conversely, the 1917 S in MS65 is lower at $3,450, while the 1921 is down to $3,725 in MS67.